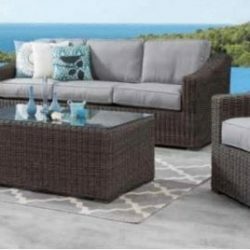 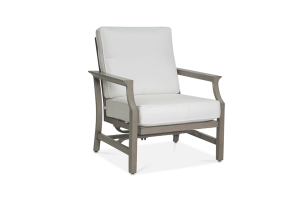 The Daphne Deep Seating Collection brings the elegance of indoor living to your outdoors in a way that truly transforms your backyard into an extension of your home. Detailed with a beautiful, timeless frame finish called ‘Willow’ and Cast Silver Sunbrella Cushions, this full collection is made with the upmost quality. 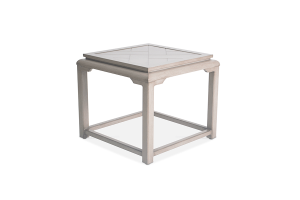 The Aluminum frame is rust-free, maintenance free, and the perfect material to create a classic look. 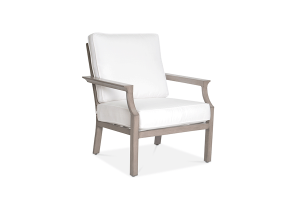 Accent your space with this polished Plank and Hide Collection with a matching Deep Seating and Dining Collection. 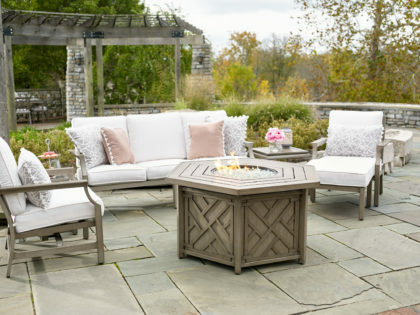 Transform the way you entertain with an exclusive collection that makes your backyard look like the cover of a magazine!